Unannounced, comes the 4th Macro Week. Friday is the new Monday so here’s the first of 7 street-macro shots I took. I say ‘street-macro’ because all of these are taken of front garden plants or in one instance a tree. Just want to show that to take macro photos you don’t need to have plants in your own garden or go to any special plant places. Rose hips — lots of seeds inside, good for cut flower or herbal tea use. I thought it was poppy, or are they the same thing? 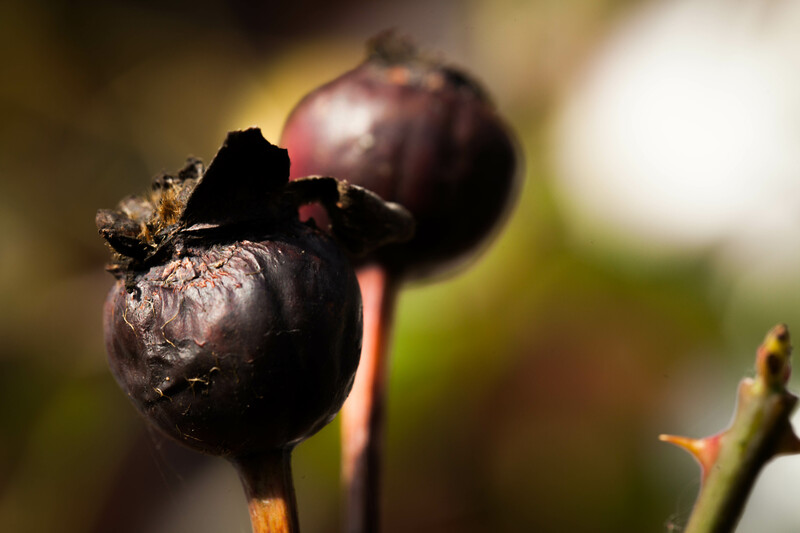 Totally different plant… most of roses have pricks, edible plant, poppy has no pricks and it is toxic/medicinal (except clean seeds). Thanks! I literally have no idea about plant names.. Really thank you for commenting 🙂 I would love if you could help me in identifying plants if you have the time. I take quite a few macro photos of them and feel silly when posting them and not knowing what they’re called. You can find flower posts on my blog by searching “macro”. I would really appreciate any help!